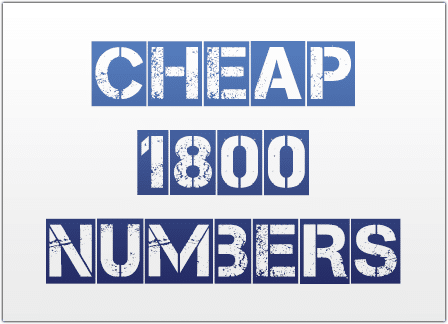 Whether you’re just starting your business, or you have an established company, there’s a million and one reasons you might need to get a cheap 1800 number. You want your main business number to look professional. You need a toll free number for a special advertising campaign. Your company is expanding and you want to start using a 1-800 number to give your business a nationwide presence. Whatever your situation you’ve come to the right place, not just because we offer low-cost 1800 numbers (starting less than $10/month), but because we offer high-quality phone service with 100% USA-based customer support and phone system features that make managing your toll free number service easy and convenient. See how below. Select an instant-activation toll free number (with your choice of toll free prefix). Pick a true 1-800 number that has the toll free prefix of 800. Choose a local phone number in almost any area code. You can transfer your existing number to UniTel Voice. You can choose a vanity toll free number that spells a word or phrase related to your business. If you can’t find the number you’re looking for our customer team would be happy to help. We’ll even brainstorm words and phrases related to your brand name and value proposition – so you’ll get a phone number that customers will remember. Once you’ve selected your number you simply pick which affordable 1800 number service plan you’d like to start with. Plans start at $9.99/month and can upgrade or downgrade between plans at any time. There are no long-term contracts locking you in and you own your 1800 phone number no strings attached. Meaning, at any time you can cancel your UniTel Voice account and transfer your number another phone company of your choosing. Once you’ve created your UniTel Voice account your number will be instantly activated (unless you’re transferring a number or it’s a custom toll free number we had to special order for you – these take about 48hrs). You may then log-in to your account to set up, greetings, extensions, voicemail if you’d like. Don’t let terms like cloud-based phone system, auto attendant, and virtual PBX scare you off when you just looking to get a toll free number. UniTel Voice is a virtual phone system, but it’s designed to make it fast, easy, and affordable to get a 1800 number and forward it wherever you need it to ring to. If you choose to use some of our advanced call management features, our phone system is as easy to manage as email and our 100% USA-based customer service team is always here to help. The cost of the 800 number itself. The cost of ongoing toll free phone service. Our customer support is 100% USA-based and always free. There are no setup fees, no porting fees and we offer a 30-day money back guarantee. With us, you own your number and can port it to another provider at any time. There are no cancellation fees or contracts locking you in. We offer free personal help to customers on setting up greetings, extensions & voicemails. We’d be happy to provide you with a free professional voice talent recording for your greetings.